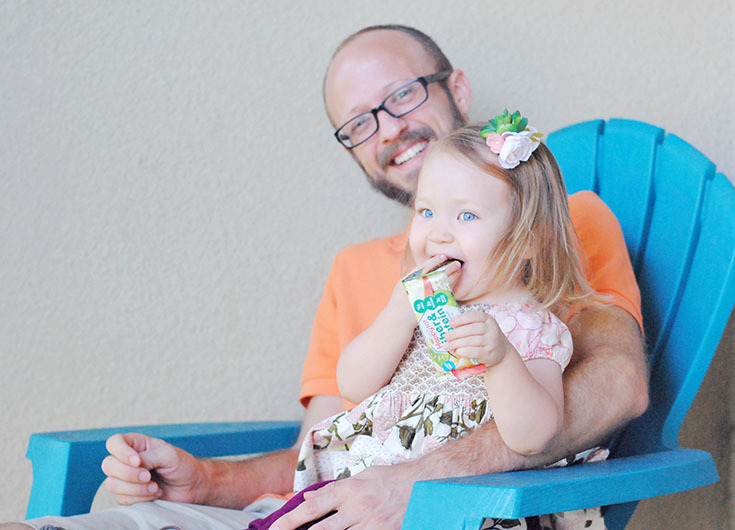 Making Toddler Meal Time Enjoyable with Happy Family Organics & Mama Mentors! Meal times should be enjoyable... I mean, sure, we all can agree they should be... but when you're two and learning to express yourself in different ways sometimes lunch involves screaming silly words at the top of your lungs and other times dinner is filled with tears and complaints, even though your plate is full of foods you previously loved. Toddlerhood. That's what this is. She's a ball full of confusion, sass, and knowledge. One day she begs for carrots, the next she throws them at the dog. 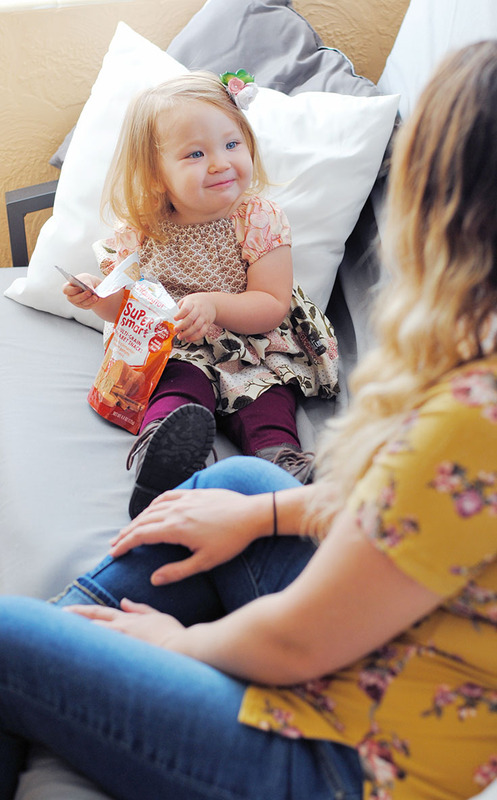 One thing she hasn't started handing over to her canine companion is her Happy Tot snacks and bless it, I'm so thankful for this fact. 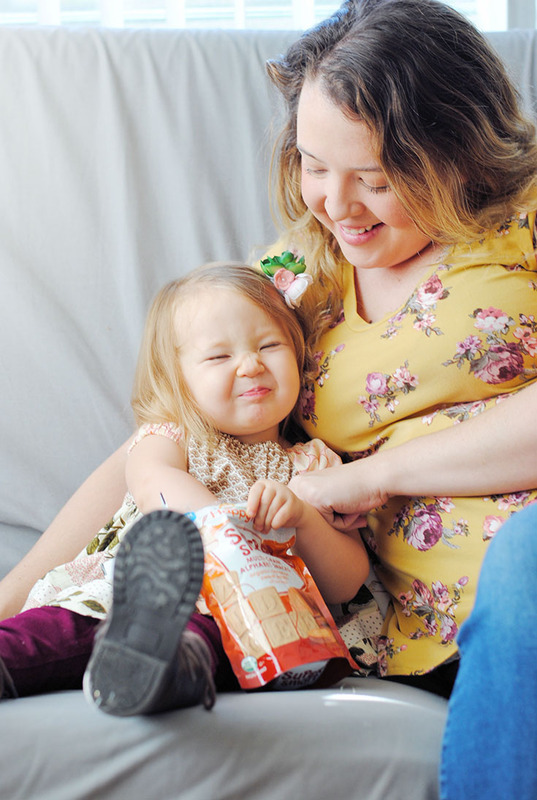 The thing is, we were worried a few weeks ago when she started turning down all her favorites, I had no clue what to think - so I turned to my new friends over at HappyFamilyOrganics.com and actually was able to get some sound advice on how to cure her picky eating habits once and for all. When the expert I spoke to mentioned "Division of Responsibility" it sounded more like a chore chart than a way to solve our issue, but she explained it a little further and it basically breaks down the feeding relationship between parent and child and allows your child to take the lead & follow her instincts in a way that's right for her. What it gets down to is, providing your child with an adequate, wholesome meal and letting her take the reigns at that point. 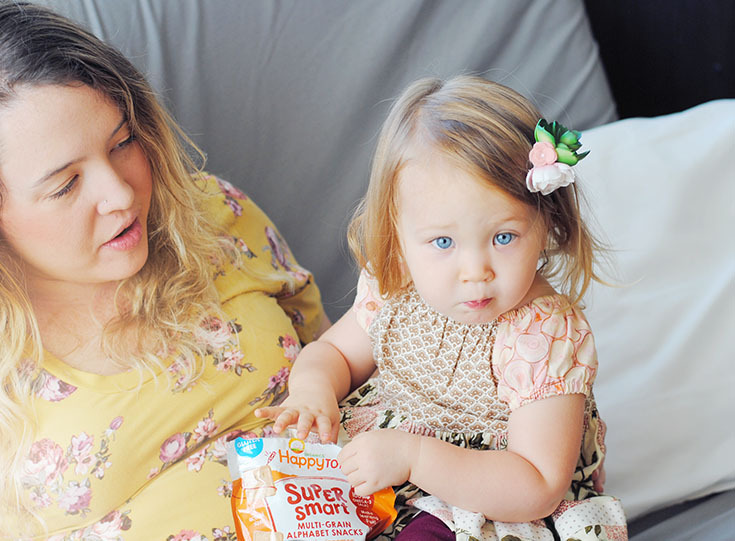 This is tough sometimes, when she's being a little sassy pants especially - but it's easier when we tie in familiar parts of her diet - like Happy Tot Pouches. 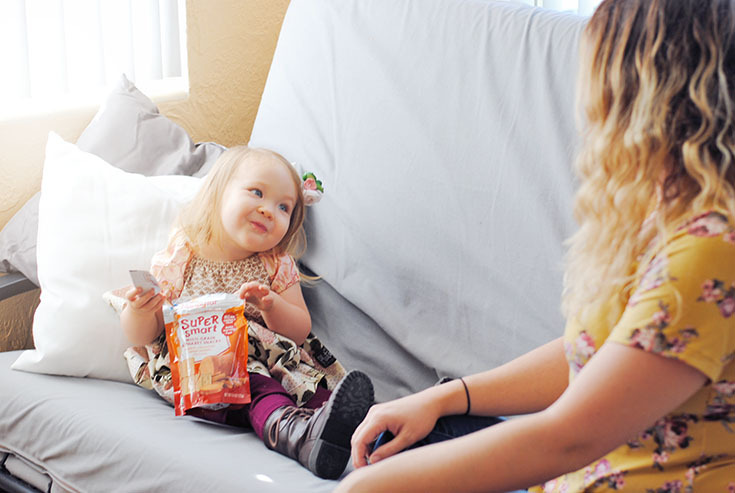 We have introduced some new foods to her recently that have been huge hits - like the Happy Tot Protein bars. She sees the box and sometimes demands one for snack time, which is a-okay with me since she isn't a fan of most other protein-rich foods. One last way that we've found to encourage her to eat, is offering something she truly enjoys once she finishes something else on her plate... this may not be ideal, I believe it's actually called bribery, but when I just want her to eat some carrots, I'll offer a Happy Tot Cookie and she's all set to chow down on some veggies! 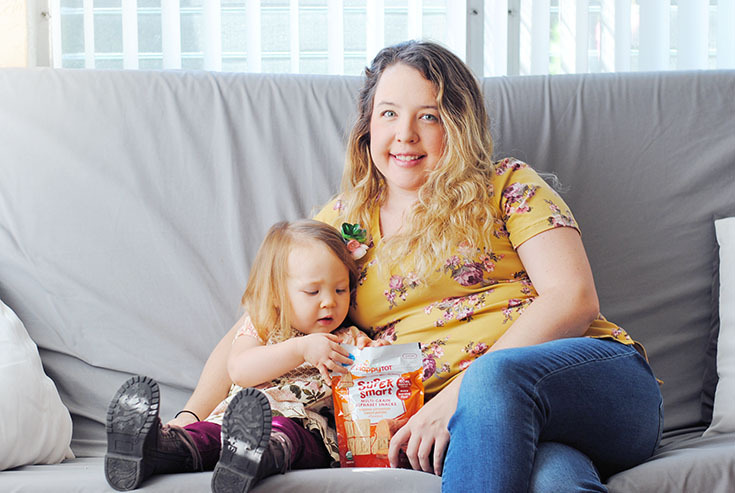 Are you experiencing some food troubles with your kiddo? 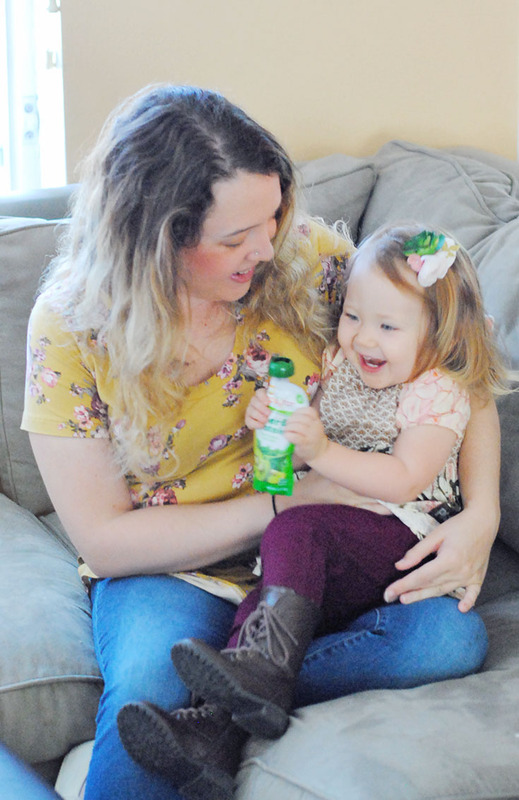 From breastfeeding help to encouraging your kiddo to enjoy a meal, the experts at Happy Family Organics are here to help. 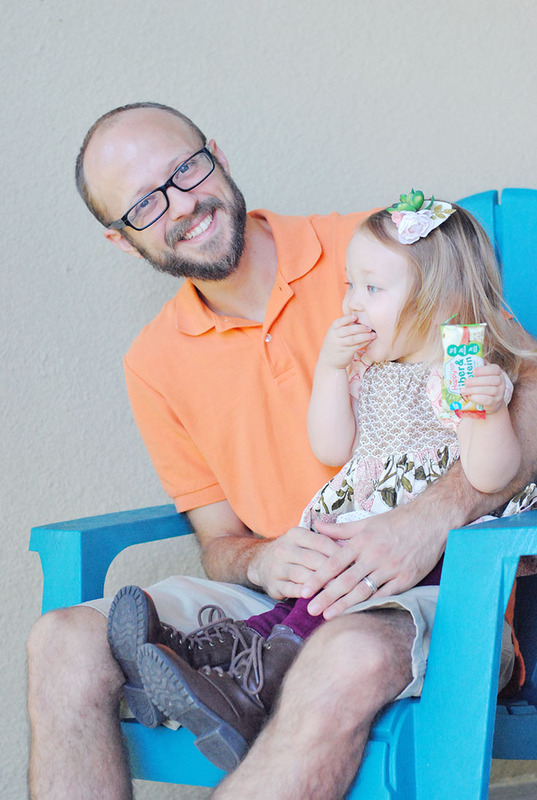 Check out the website and chat with an expert now and then grab your kiddo some delicious, nutritious Happy Family foods the next time you're at the store!